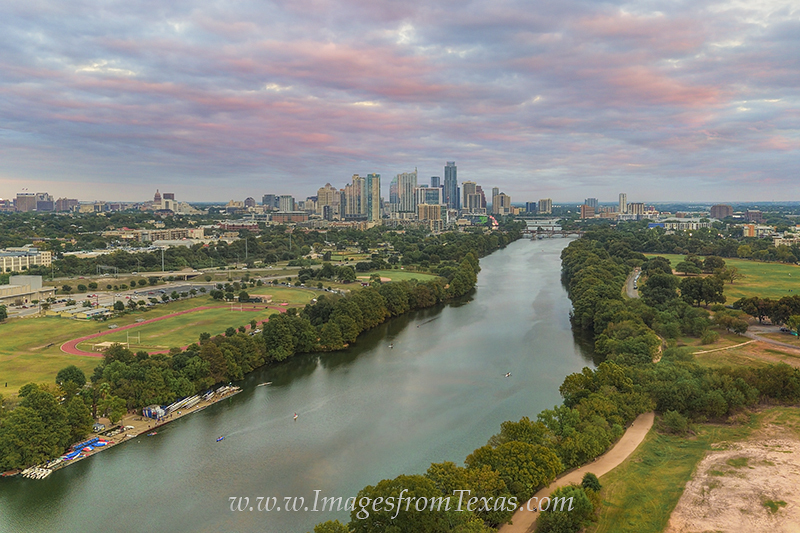 Looking over Lady Bird Lake and the Zilker Park Hike and Bike Trail on a pleasant late October evening, this view takes in all that is Austin as the skyline rises into the distance. Overhead, coulds turned to pink pastels as day faded into night over central Texas. Photo © copyright by Rob Greebon.